Our signature piece and the "go-to" bag in military – the rucksack! Two-tone olive and forest green. A beautifully hand-crafted unisex durable backpack for all occasions. Constructed from durable cotton canvas and twill with American leather accents. Includes padded shoulder straps, a cinch to ensure your gear will stay dry, and a secure laptop sleeve. Sword & Plough is proud to donate a portion of the profits from all Sword & Plough Signature Rucksack orders to American Corporate Partners. ACP is a non-profit that offers transitioning veterans one-on-one career mentorship! Sword & Plough donations to ACP help fund these mentorship opportunities. I bought this for my husband for Christmas. He loves it. It is great quality and will be using it as a carryon when traveling. He especially likes the story behind the product and we are big supporters of the military and items made in the USA. Please keep making your products and expanding the items offfered. I saw Sword & Plough on the Fox News segment and I jumped online. The quality, and detail are excellent. The Tote handles are so sturdy I will never have to worry about them separating. I ordered two Signature Russacks and a Wool handbag. The quality on all the items excellent!!! Thank you Veterans for you workmanship and service!!! I absolutely love my new backpack. The size is just right. I ordered it because I wanted to use it as a weekend trip as my luggage. The backpack itself is light and very comfortable with the wide padded straps. The side pockets are deep enough for my sunglasses, keys, etc. and the zippered pouch was perfect for my passport. 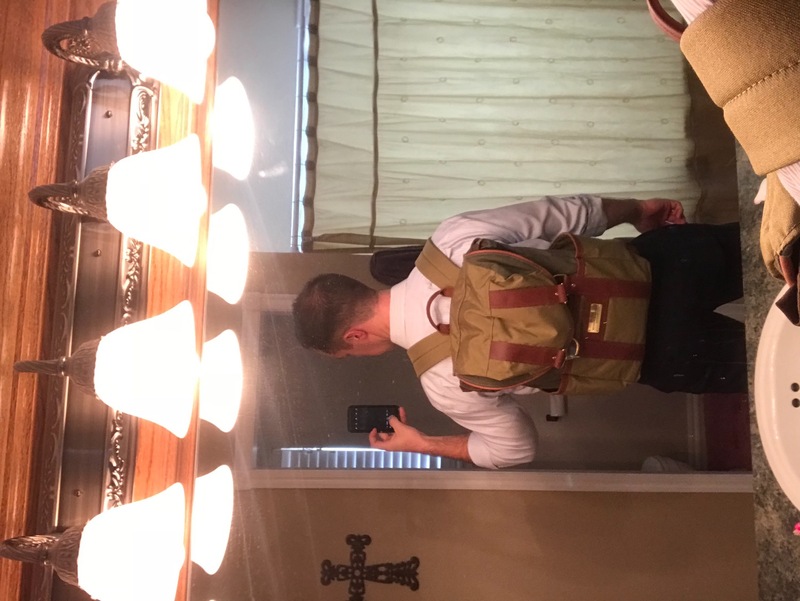 I would highly recommend this backpack to anyone looking to purchase. The ordering process was easy and my bag arrived even more quickly than I anticipated. I love the mission of the company and I love the overall look of the bag. I bought it with birthday money because it is definitely way more expensive than I would typically ever pay for a bag. I’m still unsure why the price is so high, though I really do love the overall product. As other reviews have mentioned, it is not super roomy by any stretch of the imagination and there are no compartments for things like keys, pens, etc. You’ve got the main portion of the bag which could basically fit a small 3 ring binder or the equivalent, a pouch within the main bag for your computer, a smaller zipper pocket found in the overflap of the bag, and 2 water pockets on the sides of the bag. If you’re looking for something super roomy with storage to put lots of items, or more than one book, this probably isn’t the bag for you. I bought it to serve as a work back pack, since it has a more sophisticated look, to carry my computer and tablet. For that purpose it works great. I love the company and hope the best for them. I hope they’ll consider lowering their prices and making their bags a little more functional and spacious. The Green Signature Rucksack is very well constructed ... I purchased it for my wife to use during travel. I love the way the bag fits her!